There are times in history when it is best for a people to move on from past mistakes. There are other times, such as now, when the past cries out to be explored. 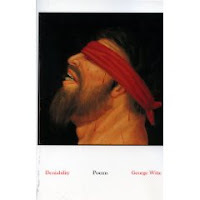 For those who are searching for meaning to the last eight years, a new book by American poet, George Witte, Deniability, is the place to start. This is not only for the writing that is spectacular in its simplicity, its perfect placement of each word, its prose, but for its bravery in peeling back the layers of the war on terror as an eight year journey that is stark and unforgiving in its verse. It is, in this writer's opinion, required reading before we move on, an inner truth and reconciliation to the last eight years that serves as an important reminder of what we must face and not allow again. George Witte's Deniability begins with the fall of the Twin Towers, a poem appropriately entitled: Uh-Oh, reflecting the feeling so many experienced as they watched the attacks on 9/11, and proceeds chronologically through the physical, actual and psychological journey that would come to be known as the war on terror. UH-OH (excerpt): No photograph records that day's unmasking roar / Things ripped from skins, words from definitions. / Letters distilled until incomprehensible. I first became familiar with the author's work when I stumbled across Witte's previous collection, The Apparitioners, and was so impressed by its form and substance, its free-flowing exploration of American life that led one reviewer to refer to Witte as the "Frost of the Suburbs," that I purchased several copies for friends and have reread it many times since. It was therefore with anticipation that I awaited my copy of Deniability as a new and unique linguistic presentation that would cause me to think about American life.